We are so stoked with how the Jungle turned out. Plenty of lines for all freestyle abilities. Come shred with us! Age and gender groups are out this week. Each team will be judged on their unity, creativity, and ability. Skiers and snowboarders are encouraged to team up, but this is not mandatory. Mixing gender and age category within your group is also encouraged. Night rider points will be allocated to the group winners. I.E. each member of the first place team will receive 5 points within their age category towards night rider finals. Countries are appointed on a first come first serve basis. Have your team captain message Shred Bolton to secure your flag. If you cannot create a team by the 29th we will organize you into groups before the event. The team challenge is a long standing tradition at Bolton Valley. Creativity and group unity stand above all else. Do you have what it takes to be an Olympian? These last few days have gone by like a blur. 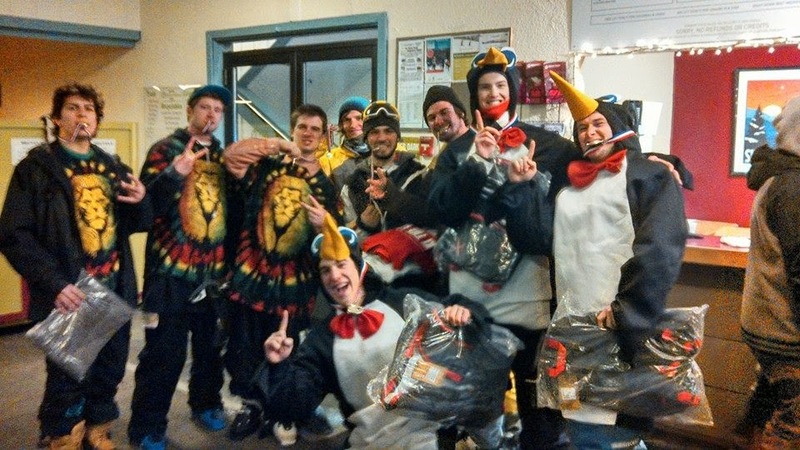 On Sunday Shred Bolton hosted the Tell A Friend Tour presented by Andy Parry, SKIRACK, and Line Skis. At the event we had something like eight pro skiers in The Jungle destroying every feature in sight. Jason Levinthal even showed up to demo his J Skis. It was awesome watching the pros ride with Bolton Valley locals. Andy Perry spent most of the time teaching kids how to be a wizard just like him and it worked! We were all impressed when everyone started getting 50-50s on the flat rail. Speaking of pros in The Jungle. On Monday Ralph Kucharek, Nate Haust, Britt Horrowitz, Hailey Ronconi, and Johnny Hancheck came up to film an edit with us and we had a blast. Check out the edit here. CHECK IN - Bolton Valley from CHECKtheFeed.com on Vimeo. Holy smokes this week was packed with fun! 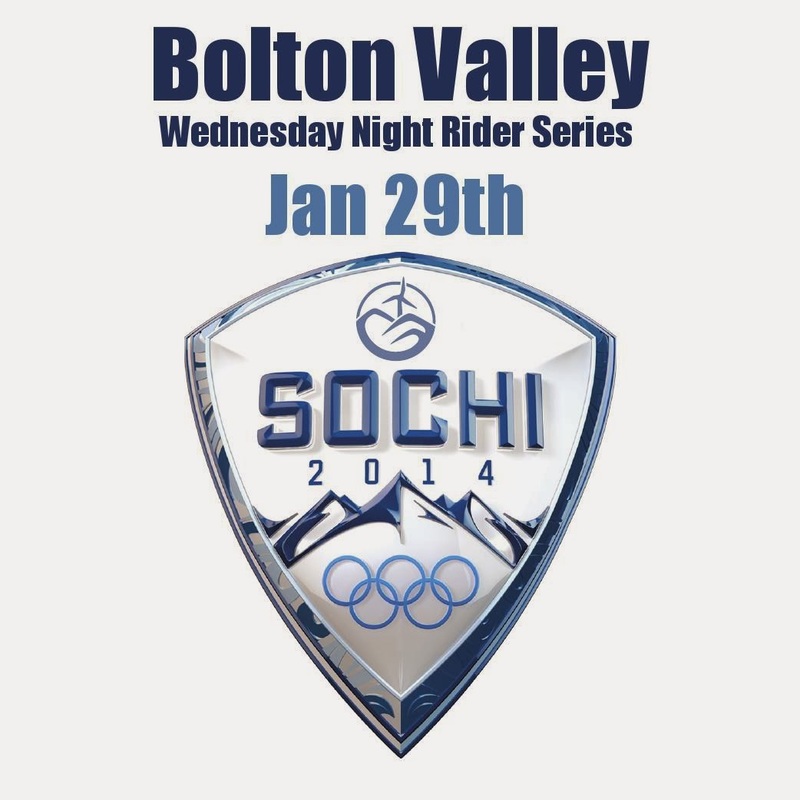 Last night (Jan 15th) we kicked of this years Wednesday Night Rider Series. It could not have been more fun. We had over 40 contestants show up to shred in The Jungle and it got crazy. OG Bolton photographer Mike McDonald was here taking pictures so stay tuned on Shred Bolton to check them out. Here are the results and point standings for the series. Next Night Rider event is in two weeks on Jan 29th. Mother Nature has pretty much eliminated the chance of having a slope style course up by that time so we are switching the 29th to the Mystery Event. We are so thankful for the love and support you have given us this season. Keep shredding and pray for snow. 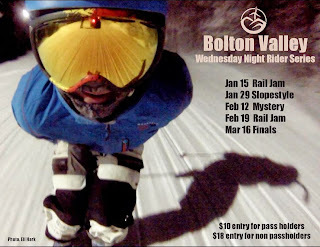 The Wednesday Night Rider Series is a long standing tradition here at Bolton Valley. Skiers and Riders of all ages and abilities gather under the lights in friendly competition throughout the season. This years series will consist of four regular events and one all day epic final. In an effort to make the series more affordable we have reduced the entry fees this year! Non pass holders will pay the $10 entry fee + $25 all mountain lift ticket. Finals will consist of three, to be determined, events. In order to qualify for final prizes you must attend at least two of the four regular series events. Contestants will receive points for each event they compete in. That means triple points for finals!